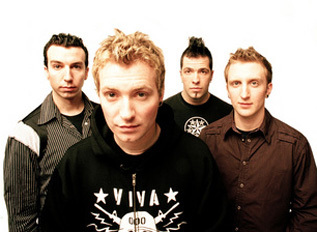 One might wonder if the Toronto-based bands collective attitude changed after its 2003 debut, What Are You Waiting For (Tooth & Nail) moved a surprising 60,000 unitsa staggering figure for a side projectbut leader, vocalist, and lyricist Trevor McNevan is resolute. That theme stays true throughout What Are You Waiting For; marked with loves, losses and growth in the face of teen trials, while still keeping a humorous spin on their heartfelt honesty of troubles and triumphs. Songs like "Definitely Maybe," their infectious premiere single, highlight this mixture of ingredients in its lighthearted take on a hopeless romantic endeavor in the theory that nice guys still finish last: "How much longer? Will this keep getting stronger? / I wonder what she's doin' when I'm singin' myself to sleep. / He's a faker, see ya later, / I wonder when you realize that you mean a lot more to me." Other standout tracks like "Three Days Later," "Something to Believe In," and "The Notion," all provide listeners with catchy choruses and an underlying positive affirmation that problems are merely temporary and won't stop the sun from continuing its illumination. 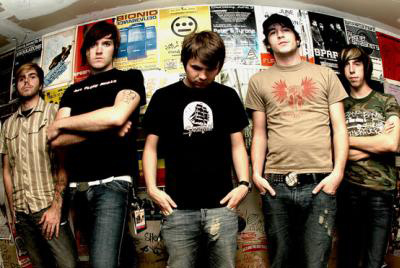 The guys followed up three years later with Critically Ashamed released in 2006. "The best way to describe Critically Ashamed is that we want it to be peoples summer record," McNevan says without a hint of irony. "You know those records in your collection that you associate with vacation from school? The ones you play when youre thinking about warm weather and some good old fashioned summer fun? For me it was the Steve Miller Band, and the Weezer Blue albumeach song has a face. You listen to the music and it takes you back, you remember what you were doing and who you spent time with. Well, we want people to associate this record with the best summer of their lives." The group’s next project, Dear Diary, was released in April of 2009. With the spot-on relatable happenings and character confessions of Dear Diary is a project whose special story can only be unlocked as it happens, from song one to song ten. It all begins with a couple of self-explanatorily-titled rock tunes. “Boy Moves to a New Town with Optimistic Outlook” introduces the never-named star who hopes to find something or someone worth living for. Over a punk tempo and pop melody he wonders: What will we leave behind but the pages of our life? “The Unavoidable Battle of Feeling on the Outside” drills into the psyche with a simple guitar riff and his simple social truth: I’m not an idiot, but I feel like one a lot. That feeling aside, “Boy Meets Girl (and Vice Versa)” finds the main character making a crucial new friend. He refers to her as “E.T.” in writing (extended entries for each song are printed inside the Dear Diary packaging). That’s because she was like no one I had ever met. Her purpose seemed to glow, like she was plugged in. Soon, he’s thinking more about what life means and feeling less alone on the anthemic “Sometimes You Can Forget Who You Are.” In the Weezer-like stomp, “Man Whatcha Doin?” the boy meets a homeless philosopher who helps straighten out his thoughts about money and happiness. 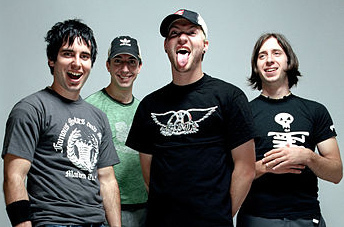 It’s a well-placed moment of fun just before the album’s concept goes much deeper. “The Voyage of Beliefs” is Dear Diary’s crossroads, a gripping indie rock duet between McNevan and Superchick’s Tricia Brock where the characters both step up in faith, proclaiming a belief in God that is their own, not just the one their families have handed down. And, oh, how they need it for what happens next. Not surprisingly, E.T. suffers a crisis of faith and later moves away. Although the boy tries to shake off his new beliefs as well amidst his devastation, he feels this strange, warm feeling come over me . . . a simple peace letting me know I was okay that fuels the message of Dear Diary’s first single, “Take Me As I Am.” A poignant, piano-driven dénouement, this revelation that faith can still grow even amidst struggle will resound to all ages. Those same determined emotions extend to the boy’s “Dear God” letter following the girl’s departure. 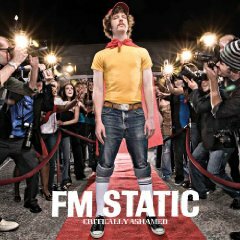 To its credit, FM Static conjures in these two songs a timeless, trend-immune pop sound that stretches McNevan and Augustine in their top-notch performances beyond anything they have previously recorded. True to its resilient teenage characters, Dear Diary ends on a celebratory high note. The accompanying story written by McNevan explains how the “Dear God” letter was answered: the boy and E.T. end up attending the same university and maturing in their beliefs together. They don’t have all the answers, but they have a purpose, and they still know how to have fun. Album closer “The Shindig (Off to College)” is a steam-blower full of sing-along pop culture references and youthful wisdom: Tonight may not be the best night that we’ve ever had. But it may be the best time ever to realize what we have. 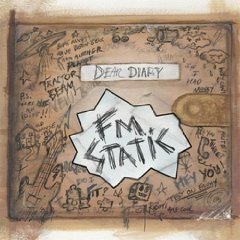 Although Dear Diary is a work of fiction, Trevor McNevan says, “the songs reflect thoughts me and my friends all had growing up. 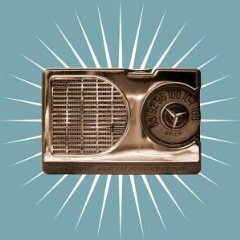 And there’s a lot of me in the more serious songs toward the end.” What listeners can ultimately expect is a rocking, melodically-charged coming-of-age story that somehow combines the creative vibe of independent films like Juno and Napoleon Dynamite, a dash of High School Musical charm, and the altogether rare element of uncensored faith. It was definitely worth McNevan writing about, and definitely worth a close listen.